March is Red Cross Month. It began with an annual proclamation in 1943 with President Franklin D. Roosevelt and continues 70 years later by President Obama. As a nationwide non-profit with a rich history spanning more than 130 years, the Red Cross depends on the generous contributions of time, blood and money from the American public to support its lifesaving services and programs. We encourage you to use social media to help recognize the efforts your school and students are making. The public can also stop by your school to make a $10 donation and receive 2 weeks of classes. 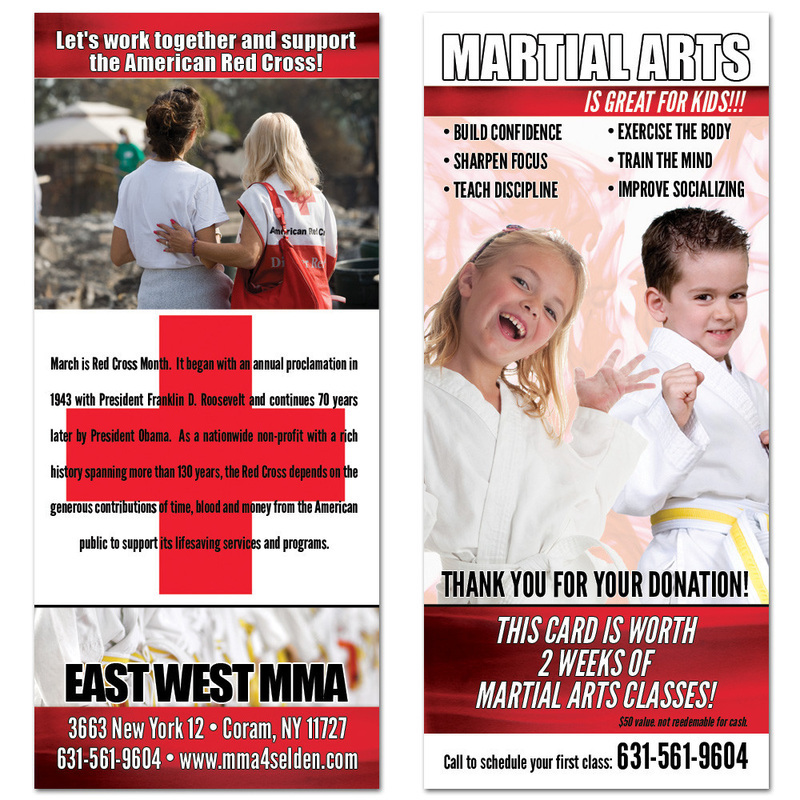 For your school to participate we have created Fundraiser cards. The goal of your school should be $20 times your active student count. If you have 150 students set a goal of $3000 by selling 300 2 week lesson cards. All profits should go to the Red Cross. Once you finish your collections you should send all the money less the investment you made to purchase the cards.